The river Cijevna is a left tributary to the Morača river. The spring of Cijevna is located west of the mountain Trojan (2,183 m) in the Prokletije mountain range, and the river flows from there in southwest direction as Cem Selcit through Malësi e Madhe region in Northern Albania. After Cijevna reaches the border of Montenegro, and finally enters Montenegro south of Suka Mizdrakut (1,144 m) mountain, it forms a canyon with high and steep sides. 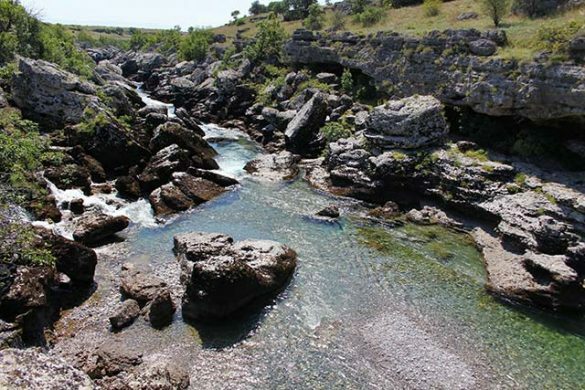 As the river flows more to the west the canyon becomes wider and its sides lower until Cijevna enters Zeta plain close to Dinoša settlement few kilometers southeast of Podgorica the capital of Montenegro. The canyon of the river Cijevna is sited on the fifth kilometer from Podgorica towards the Albanian border. This is a very attractive location, favorite bathing beach of Podgorica residents, offering perfectly clean water. 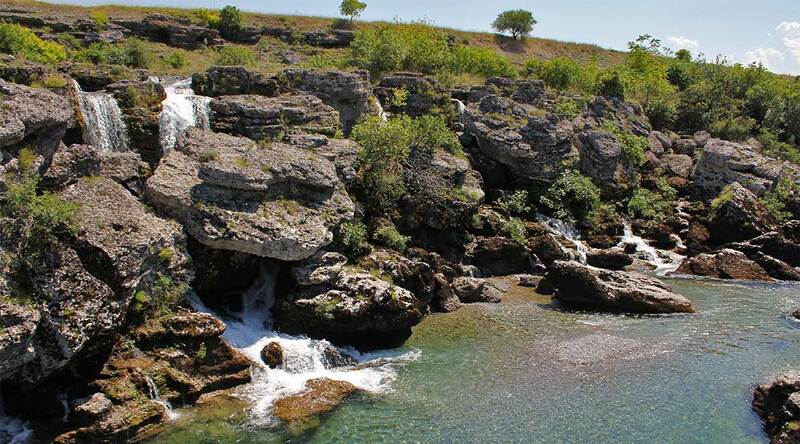 The river Cijevna has a specific character of the mountain stream with very expressed fluctuations in the water level. This lost river, with its short but marvelous flow, irrigates the fertile plains and fields in its lower flow surrounded by the largest vineyards in Europe and in one complex. In its upper flow, the Cijevna river meanders through the mountain canyon of middle size. 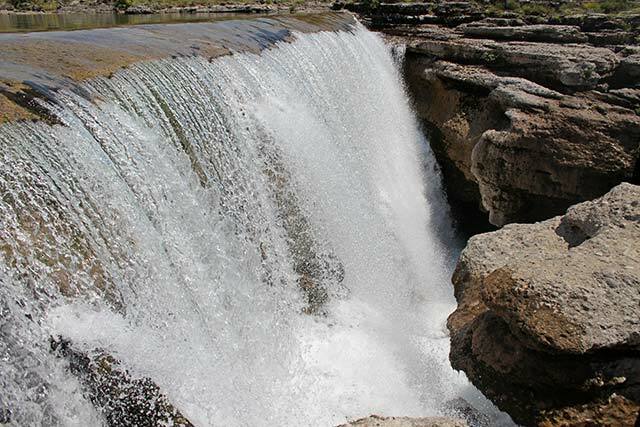 In the season of abundant autumn and spring rains as well as in the period of snow melting in the river basin, it behaves as the real wild river, carrying huge amounts of water and suspended material. However, in winter and summer, it runs dry,giving the possibility to realize all complexity and clear cross section of the composition of the interior of the soil of the Ćemovsko field which is a rarity in the viticultural world. Despite the fact that Zeta plain is very hot place in summer Cijevna river stays very cold all year round. For the most of its length its water is drinkable.